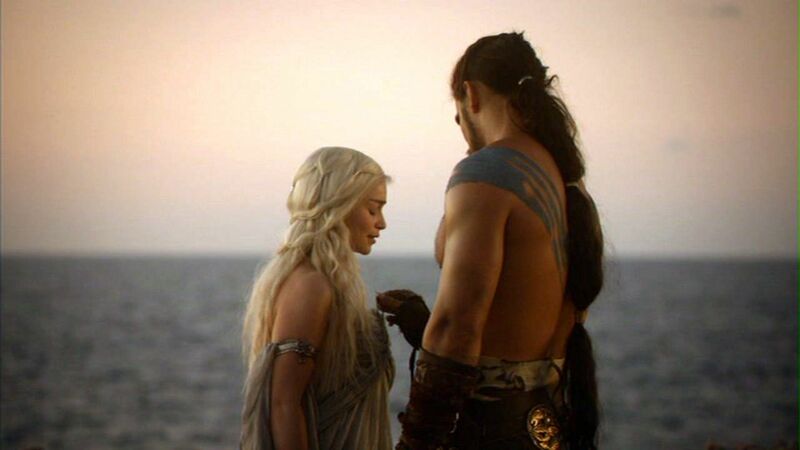 Daenerys and Drogo. . HD Wallpaper and background images in the Дейенерис Таргариен club tagged: daenerys targaryen game of thrones dany daenerys targaryen drogo. This Дейенерис Таргариен photo might contain чулочно-носочные изделия, шланг, шланги, hip boot, thigh boot, and чулок.